Backwater is now available via Lulu. for download. Alaska Rhodes WILL return!. hardcopy will be available soon. as a digital comic. A hardcopy will be available soon. 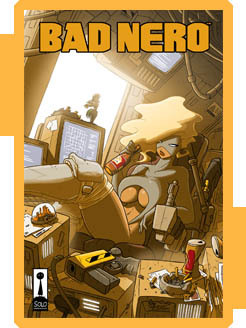 Part 2 of Bad Nero: Backwater is now available for download. digital comic. A hardcopy will be available soon. hardcopies will only be available via Indyplanet. exclusive to the hardcopy books. post apocalyptic survival/war game. It's a build-it-yourself title. Nero, now available for download. service, it will be used from this point on. helped support the project thus far! and touching on the origins of the super heroes. I've finally got to work putting this new site together. titles appearing up by the Little Victory logo as time goes on.